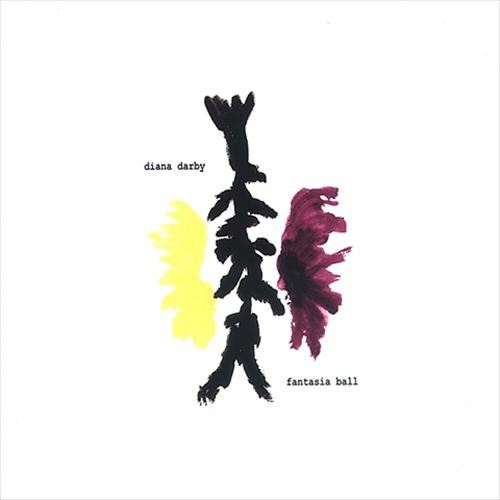 Second album by Houston native and Nashville resident Diana Darby, after her much praised debut Naked Time and two contributions for Acuarela Discos (Acuarela Songs) and Incidental Music (Nothing Left To Lose – A Tribute To Kris Kristofferson). The eleven songs on Fantasia Ball are a cathartic journey, pulling you in to places most people would never dare reveal to their closest friend. These are the places where Diana Darby travels and lives. What gets you through is her soft yet warm voice, and a tuneful simplicity that is refreshing, real, and perhaps more relevant to the times we live in than may be initially apparent. Eleven tracks of stripped down whispered beauty recorded at home to 4-track. Ten originals and a breathtaking vintage Rolling Stones cover. Dark warmth, intimate melodies. Think The Velvet Underground in 1969, and if you like Kendra Smith, Kristin Hersh, Hope Sandoval, Nina Nastasia, Thalia Zedek and Cat Power you might like Diana as well. Possibly more. Diana Darby was born off the coast of Texas and raised by ferries. She is known to have lured men to their deaths with just her eyes and her voice. Part nymph, part poet, her musical influences are the birds, the wind on summer nights, Love, The Velvet Underground and Bob Dylan.